The New England ambiance of the Cape Cod district of American Waterfront, in Tokyo Disney Sea, never fail to stir up the nostalgic whims of a bygone era. Sprinkle in the magic of the holidays--with its tri-colored Christmas lights, and glowing building facades, and the atmosphere becomes even more warm and romantic. One can't help but feel joy when walking through this environment. It's so vibrant and cozy that it might as well be Christmas Eve. It really engages the enchantment of the holiday season! 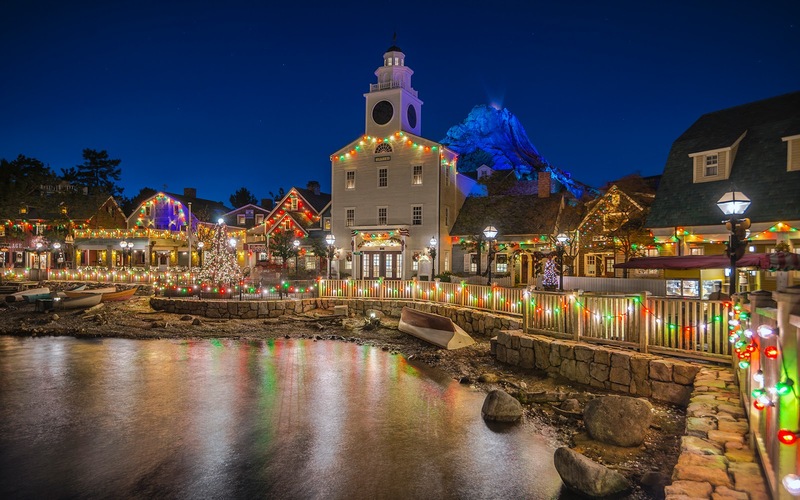 American Waterfront glistens with Christmas spirit at night!